waw050260 WALES (1953). 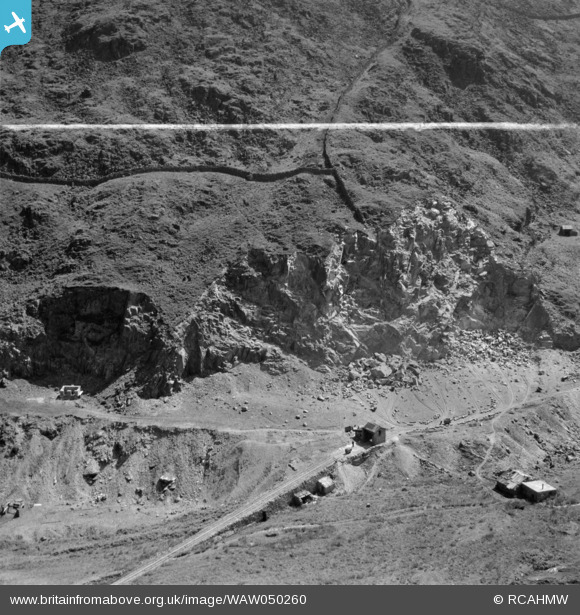 View of Madoc quarry, Blaenau Ffestiniog, commissioned by Cawood Wharton & Co. Ltd.. Oblique aerial photograph, 5Ã‚Â½" cut roll film. Title [WAW050260] View of Madoc quarry, Blaenau Ffestiniog, commissioned by Cawood Wharton & Co. Ltd.. Oblique aerial photograph, 5Ã‚Â½" cut roll film.